Adopting novel technology may require businesses to take on a new paradigm completely, not just add more hardware. This can come with great benefits for manufacturers, leading them to more capabilities and farther-reaching operations, but at the cost of greater risk. A new report revealed some of the ways manufacturers have yet to fully prepare for these risks, so let's take a closer look at what this and other sources have to say about the possible future. 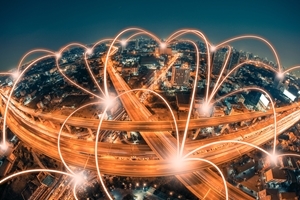 It's easy to feel the excitement around expanding connectivity in the enterprise. The report, from both the Manufacturers Alliance for Productivity and Innovation and Deloitte, suggested that the quick move to the Internet of Things is a possible risk, according to Supply Chain Digest. While the source didn't outline the specific reason why, the time it usually takes for businesses to develop security measures for each new innovation can signal a possible need to hold off here. Drawing from 225 respondents, found that about a third of the manufacturers had not taken any measures to specifically address Industrial Control System cyber risk, and that many companies differ in the specific ways they address security problems. Managed IT services can thus be a necessity to keep businesses sufficiently guarded against security problems. Other findings from the report show that manufacturers believe some of the main cyber threats can come from their employees. What's striking is that these threats can vary from direct abuse to mistakes, errors or using a personal device. As crucial as curbing internal threats may be to manufacturing, this is hardly a new idea, since fraud and security experts have looked to internal sources for possible issues for some time. In a CFO piece from last year, Mary Chaput of Clearwater Compliance listed some of the necessary steps for reducing internal risks, using both employee training and security policies as well as employee monitoring and program oversight. This combination of measures could address the employee culture as well as specific problems with the technology. Just because systems can be intelligent doesn't mean they will automatically manage traffic efficiently. That observation comes from Zebra Technologies Corp.-sponsored report from the Technology and Entrepreneurship Center at Harvard, located in Harvard University. This report mentioned the threat of "data overload" specifically in the context of health care, stating that it will be a "challenge for providers." This is because the overwhelming bulk of data will create new and excessive amounts of work for industries to contend with. According to this report, the answer lies in customized alerts and filtering to help distinguish important data at any given time. It might work slightly differently, but the same principle could extend outward to other industries later on, with further devices connecting to the internet throughout the supply chain. Establishing strong strategic sourcing can work with this drive for security, since the business can have more control over how they coordinate operations.